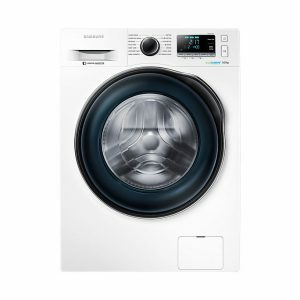 The Samsung AddWash WW90K6414QW Washing Machine provides excellent energy efficiency and features Smart Control, to let you control and monitor the washing via your smartphone. 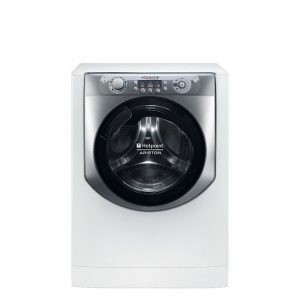 Smart Control Don't let laundry days tie you down. 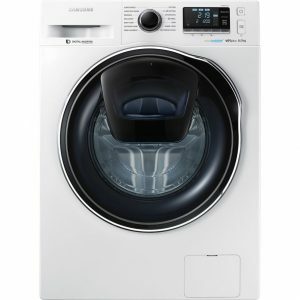 Thanks to Samsung's innovative smart features, you can control your washing machine using an app on your smartphone. 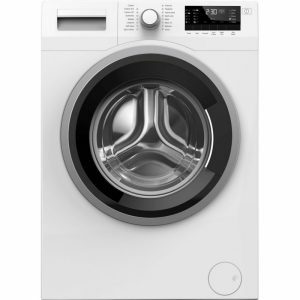 Whether you're at home or outside, simply connect to a wireless network to start, pause or monitor washing cycles. You can even receive alerts to let you know when a cycle is finished, so there's no waiting around. 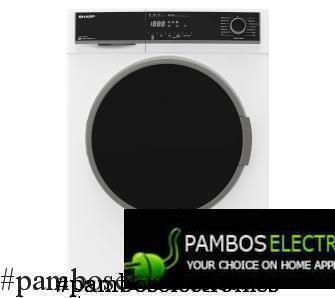 Super convenient Designed with busy, modern households in mind, the WW90K6414QW has features to make every day washing easier and a generous 9 kg capacity. 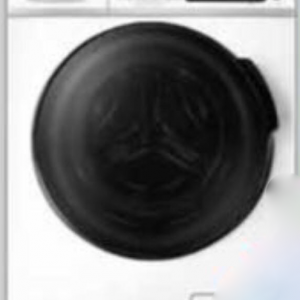 The AddWash™ door lets you add anything into the machine at any time during a cycle. Whether it's a stray sock you left in the laundry basket or a delicate item that just needs a final rinse. 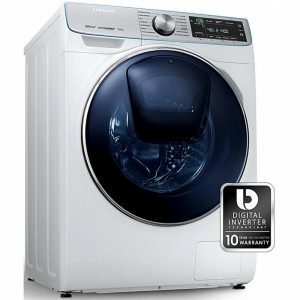 You can even pop in an extra bit of fabric softener for bigger loads. Super-fast Washing the whole family's laundry can take time. The WW90K6414QW's Super Speed Wash uses a twin water supply to allow the drum to fill up faster and reduce rinsing times.